The next Windows 10 upgrade, code-named Redstone 4 which is expected to arrive in Spring, will bring improvements to Windows 10 in several fronts, especially in GPU management. While Microsoft acknowledged many under-the-hood improvements in Windows 10, the developmental cycle isn't closing up anytime soon, which underscore the additions or subtle changes coming in Windows 10 Spring Update. 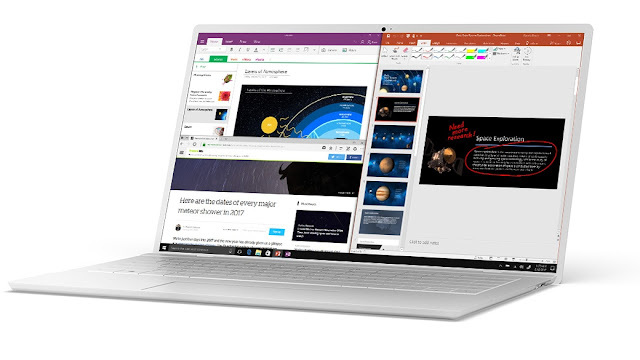 Though, most of these changes seem provisional, which means it obviously need more work, even as Microsoft is inclined to keep on developing the operating system. We've highlighted below what we think are the top features expected in the next update of Windows 10, Redstone 4 schedules for Spring release. The next Windows 10 update will make default the functions of selecting which GPU apps running on your PC: with both AMD and Nvidia providing utilities as either the economical integrated graphics chip inside your CPU, or the power-hungry discrete GPU. And in cases where you’d prefer the integrated GPU to run a simpler operation to save your PC’s battery life, the new control makes that possible also. Those using Windows 10 S machine will be able to completely eliminate passwords in accessing their PC with the Authenticator app for Android or iOS, which serves as a more secure two-factor authentication method. The authenticator app offers the option to enter a time-limited code to access your PC, and also allows you to approve an authentication request with one click. The Redstone Update partially eliminates the need to click otn the +icon to begin the pairing process, and then initiate pairing on the device. Now if you rigger a pairing request from a device, it pops up a notification asking whether you’d like to go through with the request, what Microsoft calls Swift Pair. Swift Pair will be quite handy in the home, albeit, it seems a little rife for exploitation in a crowded place, like: airport lounge or the workplace. But Microsoft have restricted to the Surface Precision Mouse, at least for now. Other nifty features include: better Settings for your PC’s audio, Autocorrect/autosuggest for hardware keyboard, and tracking controls with Eye Control. Additionally, the Microsoft virtual assistant, Cortana is getting updated Lists, as well as better natural-language recognition, a la the Harman-Kardon Invoke.